European leaders must take action to end the harmful policy of containment on the Greek island ‘hotspots’, international medical organisation Médecins Sans Frontières/Doctors Without Borders (MSF) said today on the third anniversary of the signing of the EU-Turkey deal. Leaders must ensure the immediate evacuation of all vulnerable people, especially children, from these locations to suitable accommodation on the Greek mainland or in other EU Member States. For the past three years, the EU-Turkey deal has trapped thousands of men, women and children in overcrowded, unsanitary, unsafe and degrading conditions with little access to basic health services, which has resulted in a deterioration of their health and well-being and caused widespread misery, says MSF. "What was once touted as a 'refugee emergency' has given way to inexcusable levels of human suffering across the Greek islands and on mainland Greece"
“Greece has become a dumping ground for the men, women and children that the European Union has failed to protect,” says Emmanuel Goué, MSF’s Head of Mission in Greece. As a result of the EU-Turkey deal, some 12,000 men, women and children are currently trapped in dire conditions on the five island ‘hotspots’. In Vathy camp, on Samos, conditions have deteriorated drastically in recent months due to severe overcrowding, prompting MSF to send a medical team back to the island. 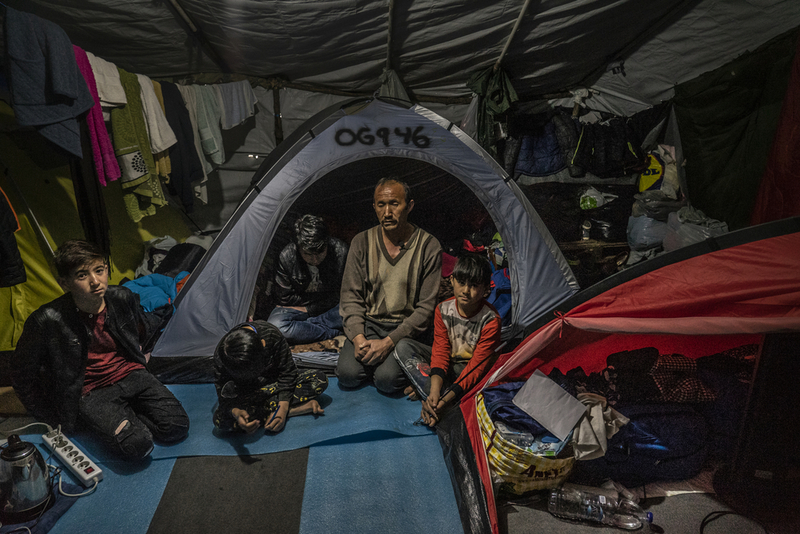 “Three years on, the EU and the Greek government are still failing to provide dignified and humane living conditions and proper medical care to those trapped on the Greek islands,” Vasilis Stravaridis, General Director of MSF Greece. “How can we help a woman overcome trauma related to previous sexual assaults when she lives on the streets?” asks Goue. Whilst the overall number of arrivals has greatly decreased since 2016, more than 5,000 men, women and children have arrived in Greece since the beginning of 2019. The vast majority of arrivals are from refugee-producing war-torn countries such as Afghanistan, Syria, Iraq and Democratic Republic of Congo, and more than half are women and children. This shows that the EU’s containment and deterrence approach to managing migration has failed to create alternative pathways to safety for those forced to flee.